Thinking of You Messages, quotes and sayings – Sometimes you want to just let folks know that you’re thinking of them. Here are some ideas when you’re missing the one you love. Thinking of you and all of your wonderfulness! I find myself smiling whenever I think of you. Note: I smile a lot. I can’t lie – I miss you tons! Thinking of you makes me smile! Sending love and hugs your way. I find my mind wanders as I get lost in thoughts about you. I miss you each day, every day, and all the time. We are what we think they say. But, then, that would make me you. Talking to you makes my day. Thinking about you feels the rest of the time. There’s always this piece of my heart that smiles when I think of you. Truth be told: I think about you a little more than I should. Someone remembers, someone cares; your name is whispered in someone’s prayers. You’re such an amazing friend! You’re sweet, kind, and true. I wanted you to know that I’m thinking of you. If I had a nickel for every time I said, “I saw this and thought of you,” we’d both be living year-round in Hawaii. From day to day, I frequently find, images of you going through my mind. You’re in all my inappropriate thoughts. I’m never not thinking of you. With you I am home. I just wanna be with you – that’s all! I’d rather be anywhere with you, rather than here without you. If you’re eyes had a “like” button, I’d click it a million times. Every time my phone rings, I secretly hope it’s you. Let’s find some beautiful place that only we know. Time goes by slowly when you’re missing the one you love. When you look up “best relationship” on Wikipedia, our photo shows up. Have I mentioned how lucky I am to have you in my life? A note in hopes of brightening your day! Thinking of you keeps me awake, dreaming of you keeps me asleep, being with you keeps me alive. I can’t stop thinking about you – you’re a beauty. Miss you more than ever. I’m forever thinking how much our relationship means to me. If I could write down all the messages on cards telling you how much I miss you, Hallmark’s sales would skyrocket! Missing you so much – can’t wait till we’re sharing the weekend together. Remembering all the fun times we’ve shared gets me through the day. I miss you. Once you start caring about someone, chances are, you’ll never stop. I miss seeing you so I wanted to send you a card to let you know I am thinking of you. You matter to me. I just thought you should know how cool I think you are. I love thinking about you. Your beauty know no bounds. 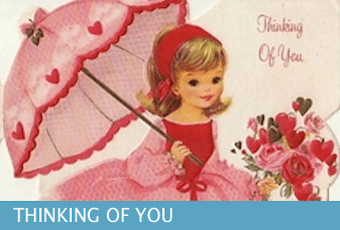 Tip: These Thinking of You Messages make great scrapbook captions. Someone’s thinking of you and only YOU! Last night, I thought about you; and hoped that you thought of me as well. Because of you, half the time I don’t even know why I’m smiling. Even when I’m not with you, you make me happy! Can’t stop thinking about you – you’re my obsession. I just miss you so bad. There are a million reasons to smile, but you’re my favorite. You have no idea as to the amount of happiness you’ve brought into my life. You’ll always be the most romantic chapter in the diary of my heart. Our beautiful relationship is God’s greatest blessing. I hope this card finds you in good spirits and doing well. For the best reason of all – None! A loving thought thinks we’ll be together soon. Naps, chocolate and you — not necessarily in that order. This type of thinking of you messages is my kind of thinking. I love that you’re always up for doing nothing. Thinking of you and not just because work is boring. At this very moment, someone is thinking of you…ok, it’s me! Your online absence makes me think you may have gotten a life. I’m concerned. Thinking of you and sending big hugs your way. Missing you comes in waves – tonight I’m drowning! It’s like one day you flipped a switch and now all I do is think of you. Hey, it’s a good feeling. You’ve been away far too long; come home soon. It’s ridiculous how much I miss you. Thinking of you day and night. I’m playing the same song over and over because it reminds me of you. My day starts and ends with thoughts of you. Missing you so much. If you have any Thinking of You Messages you’d like to share, please use the Contact page. Thanks.